Welcome to the 2006 Edington Festival of Music within the Liturgy. As many of you will know, last year we celebrated our 50th festival and I would like to record here my thanks to everyone involved for making it such a special year. It was particularly good that we were also able to share something of the festival with a much wider audience through the BBC documentary shown in April. A very warm welcome to old friends and newcomers alike; I hope it is an opportunity for refreshment and re-creation for you all. 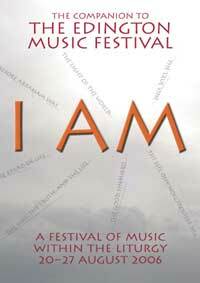 In addition, though, he punctuates the narrative with Jesus’ ‘I AM’ sayings, and it is these which form the daily themes for our worship during this festival week. Each day at the Eucharist we will hear the specific passage of St John’s gospel, while the other readings during the day pick up and elaborate on it. The two specifically eucharistic themes frame our week’s worship: ‘the bread of life’ and ‘the true vine’, while on Friday we celebrate the central tenet of Jesus’ life, proclaiming ‘I AM the resurrection and the life’. Through the generosity of the Festival Association, we have been able to commission Antony Pitts to write an introit on this theme for the Wednesday BBC broadcast. Over recent years Antony has been composing a series of pieces on these very texts from St John’s gospel, and we are fortunate to have been able to commission this piece to complete his set. On Thursday, as we celebrate the feast of St Bartholomew, the theme is ‘the good shepherd’, and in the evening’s Sequence of Music and Readings we explore this theme in a wider context with plainsong, polyphony (both from the Renaissance and from the twentieth century), poetry by George Herbert and passages of scripture. 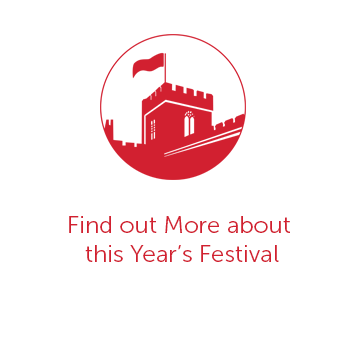 As always, the festival is about much more than just the music, and we are delighted to welcome, alongside our regular clergy team, the Right Reverend and Right Honourable Lord Carey of Clifton as our guest celebrant and preacher at the Eucharist on Monday. It is a great privilege to have him with us at the start of the festival, and to hear him preach the first of our sermons about the ‘I AM’ teachings. This year there will be a number of minor differences to the pattern of worship: on Tuesday, the BBC will be recording the Solemn Evensong for transmission on the feast of St John the Evangelist (Wednesday 27 December); on Saturday we have decided to revert to having Solemn Evensong so that those people who can only join us for the weekend have the opportunity to take part in this office. Throughout the course of the week, we will cover the whole gamut of composers and musical styles, from the plainsong which underpins the daily offices, through the rich polyphony of the sixteenth century, right up to the present day, with James MacMillan’s Mass (written for Westminster Cathedral) and Antony Pitts’ commissioned introit. There is always more music that we would like to have been able to include, but we have given special attention this year to the 350th anniversary of the death of the prolific English composer Thomas Tomkins, the 250th anniversary of the birth of Mozart, and the 50th anniversary of the death of Gerald Finzi. There are many people that I would to thank for their invaluable advice and assistance throughout the year, especially Peter Roberts and Becky Minogue our administrators, the choir directors Robert Quinney, Andrew Carwood and Jeremy Summerly, and organists Matthew Martin, Chris Totney and Tom Winpenny. Obviously, much of the work of preparation goes on behind the scenes and I would like to pay tribute especially to Nick Flower, John Barnard, Christine Laslett, Joanna Robertson, Robin Wilson, John d’Arcy, Allan Edwards, and Reverend Dr Graham Southgate for all they do to make this festival so special. 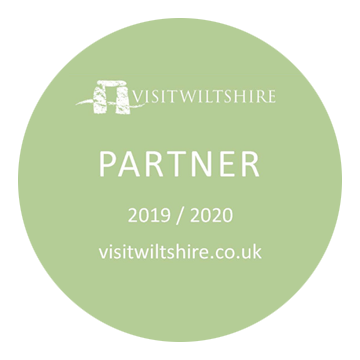 Finally, I would like to express a huge debt of thanks to the whole church community and to all the villagers of Edington and the surrounding area, without whose support and warm welcome the festival could not possibly take place.